Masterworks Broadway Podcast Theatre celebrates the 2008 revival and cast recording of South Pacific. Masterworks Broadway Podcast Theatre celebrates the 2008 revival and cast recording of South Pacific. Join the show’s director, Bartlett Sher, as he discusses what went into the production of the revival and cast recording. 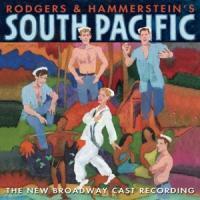 Masterworks Broadway Podcast Theatre celebrates the 2008 revival and cast recording of South Pacific. Join one of the star’s of the show, Danny Burstein, as he tells us what went into creating the character Luther Billis and much more. Masterworks Broadway Podcast Theatre celebrates the 2008 revival and cast recording of South Pacific. Join one of the star’s of the show, Paulo Szot, as he tells us what it is like to come from the operatic stage to the Broadway stage plus he tells us about creating the character Emile De Becque and more. Masterworks Broadway Podcast Theatre celebrates the 2008 revival and cast recording of South Pacific. Join one of the star’s of the show, Loretta Ables Sayre, as she tells about developing her character Bloody Mary and much more. Masterworks Broadway Podcast Theatre celebrates the 2008 revival and cast recording of South Pacific. Join Music Director Ted Sperling as he talks about the genius of Rogers & Hammerstein and more. Masterworks Broadway Podcast Theatre celebrates the 2008 revival and cast recording of South Pacific. Join special guests Richard Jay-Alexander (producer extraordinaire) and Bert Fink (from the Rogers & Hammerstein organization) as they discuss the rich history of South Pacific leading up to the 2008 revival production. Masterworks Broadway Podcast Theatre celebrates the 2008 revival and cast recording of South Pacific. Join cast member Matthew Morrison as he talks about playing the character of Lt. Joseph Cable. Masterworks Broadway Podcast Theatre celebrates the 2008 revival and cast recording of South Pacific. Join one of the stars of the show Ms. Kelli O’Hara as she talks about playing the character of Ensign Nellie Forbush.